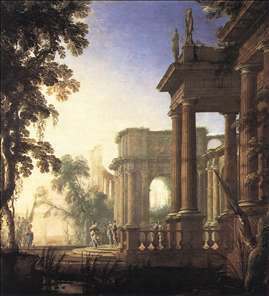 French painter who along with Pierre Patel the Elder was one of the few imitators of Claude Lorraine to work in France. In Rome from 1634 onwards, he came under the influence of the Bamboccianti . In 1648 he was one ot the fourteen founder-members of the French Academy in Paris. See more details about "Landscape with Jephthah and his Daughter"